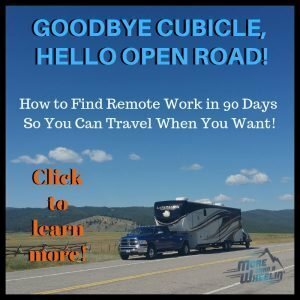 Having been on the road now for going on four years, we’ve learned quickly what we need, wish to have and what we dream about having in our RV galley. 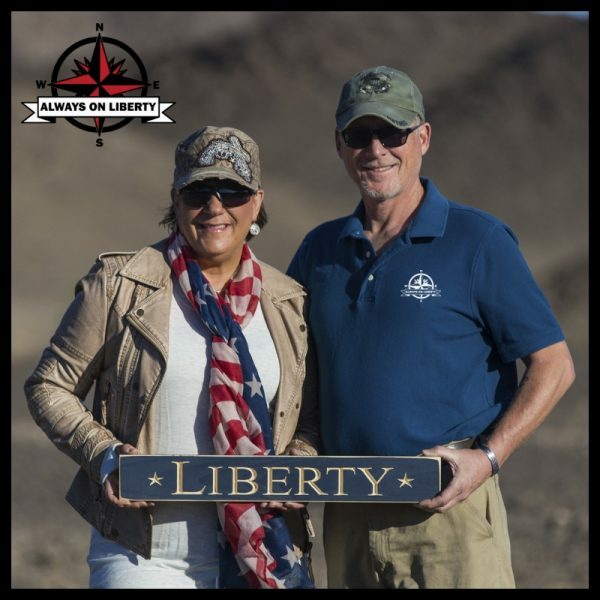 When we sold our Kentucky home, we had to pare down from living in a 3200 square foot home to a 42′ 5th wheel with limited galley kitchen cabinet storage and counter space. 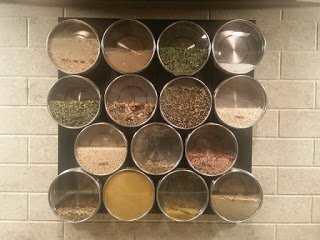 The things we miss most are our KitchenAid mixer, my big Cuisinart food processor, place settings for twelve, our 20-piece Food Network cookware, heavy handcrafted stoneware dishes and bowls, and baking supplies and pans out the ying yang. Since we are so limited now in size, weight and storage, we’ve learned to adapt to our galley space constraints. So, instead of our big honkin’ food processor, we’ve opted to a small one-cup mini food chopper (which even now, we ‘really’ don’t need). Instead of our beloved gorgeous KitchenAid mixer, we bought a small hand mixer and well, though we miss our big toaster oven, we’ve resorted to a small 2-slice toaster. 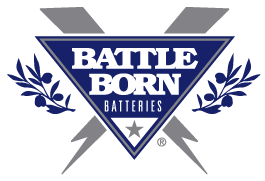 The list goes on and we work with what we can have. Since space is so limited to just one drawer for our cookware, we’ve opted for my Magma Induction Safe Nesting Cookware. we found it on Amazon for a little over $150; induction-safe cookware seemingly is a bit more pricy than the regular. But we love it! The set we selected has 3 graduated size sauce pans that shares a lid, a large soup/stock pot and large fry pan that shares a lid and two removable handles for easy compact storage. Stacked all inside each other takes less than 20″ cubed. We wrote a review for the Magma Nesting Cookware in the link provided at the end of this blog. 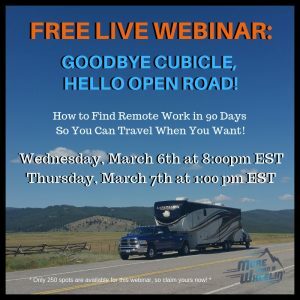 We learned about these immediately after moving into our first fifth wheel toyhauler. 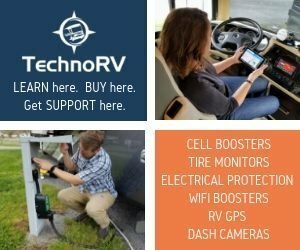 we joined an RV Cooking Facebook group that had members raving about them. So what’s a girl to do? 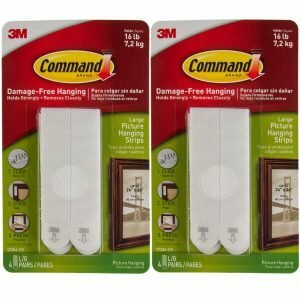 Buy TWO! These are wonderful and safe to use in lieu of using your propane while hooked up to electricity. Now that we have our Heartland Landmark that has induction safe cooktop, we still kept our NuWave Induction Cooktops for cooking messy and greasy foods outside. We noticed they went down in price from the $100 each that we paid. SCORE! 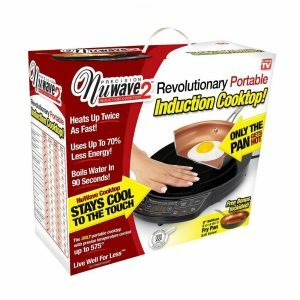 We blogged our linked review for the NuWave Induction Cooktop at the bottom of this page. That whole new ‘space prohibited’ mantra kept drilling my mind shortly after ‘moving in’. No longer having an array of stainless steel colindars, big stoneware bowls, cute measuring cups and spoons, etc. We had grown to love our silicon/plastic collapsibles. There are several companies who manufacture these; Progressive and Squish being our favorites. 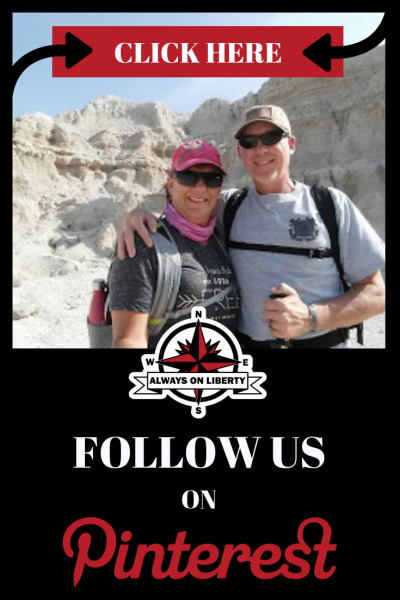 we admit, we are a touchy-feely shopper, so if we would see something at a camping store that we really thought would be useful, we would then search on Amazon getting it for much less. 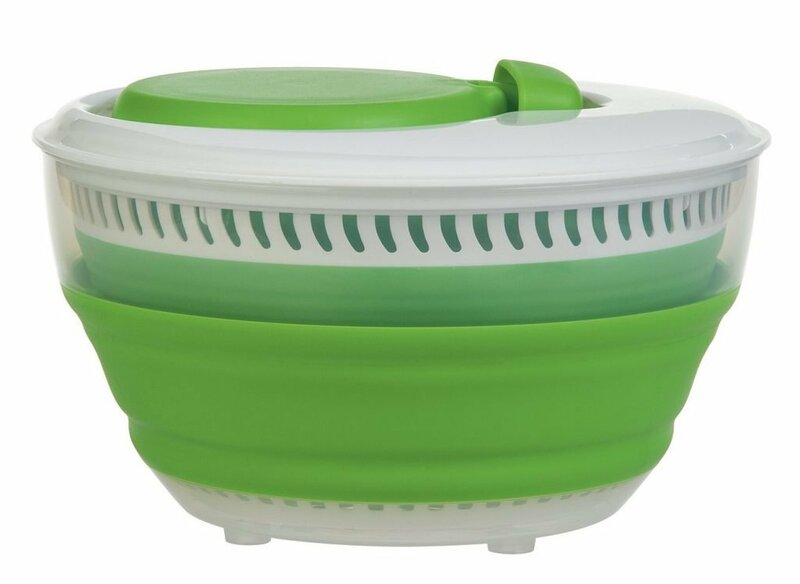 Included in our ‘collapsible collection’ are a salad spinner, a very large salad bowl, a mixing bowl, colander, produce washer/keeper, and measuring cups. Collapsed, they take very little space and stack nicely or slide in on their sides. Oh, did we mention that we also have two collapsible dishpans, dish drying rack and yes, even our laundry basket is collapsible! These products below are what we have. 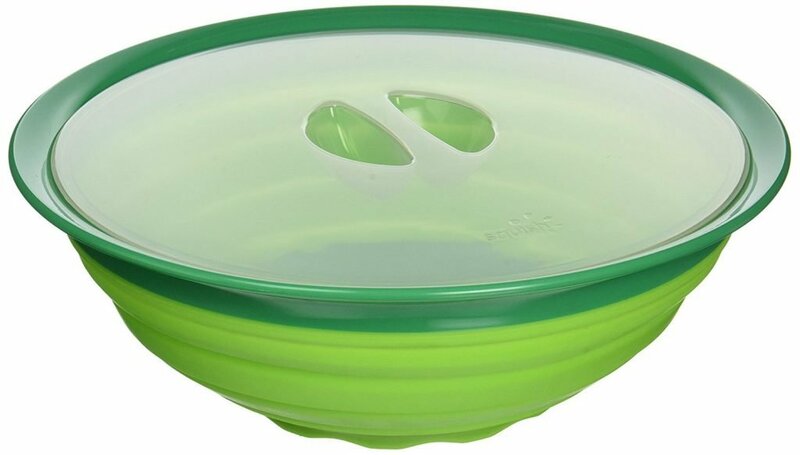 Check out our product review of Collapsible Kitchen Bowls & Gadgets. We use herbs and spices like an artist uses multiple hues of paint on their palette. 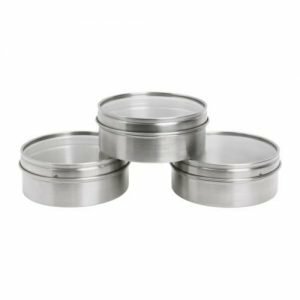 We found these awesome stainless, magnetic Ikea Grundtal Spice Tins at Amazon! We’ve had other spice tins but never found them large enough to hold my dried herbs and spice essentials. These are perfect measuring at 3.75″ in diameter and 1.5″ tall. We also found a metal magnetic board in the office supply section at Walmart for them to stick on for much less than the stainless steel boards. 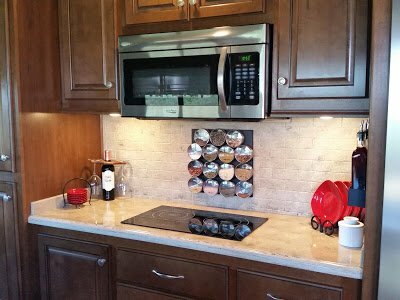 We adhered Command Strip Velcro to the back of the magnetic board to our tile backsplash, filled our tins with our favorites and stuck ’em on the board! VOILA! 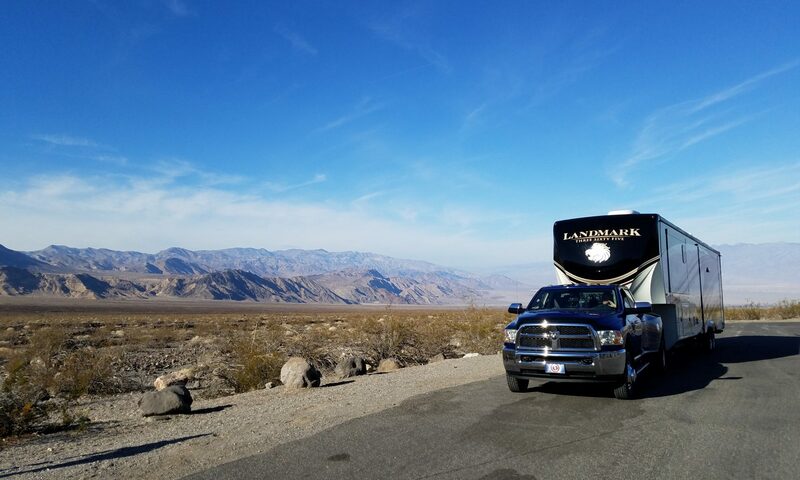 Quite the conversation starter for guests who come into our RV! Special Installation Note: We chose the 12-16 lb. adhesive strength because the tins collectively will be heavy. We cleaned the back surface with straight white vinegar and wiped dry. We adhered about 6 strips on the back of the metal board, married the velcro pieces and then stuck it onto the tile surface; holding in place with pressure for about 1 minutes. After installation of the board, we then allowed a few hours of ‘set time’ before mounting all of the tins on the metal board. UPDATE: A year after installation, I noticed that my spice tins were becoming difficult to open because of the location behind the stove cooktop. Steam and moisture affected the tins AND the potency of the spices and herbs. We relocated them to the front of the refrigerator. Much better! Saving the best for last, it is probably our most favorite. If ever we were stranded on an island with one electrical outlet, this thing is sailing in a dingy with us to the beach! Our Instant Pot IP-DUO60 7-in-1 Multi-Functional Pressure Cooker has replaced my rice cooker, crock pot, roasting pan, big stock pot! No kidding!! This push-button appliance is so simple to operate. When we make our stews and sauces, we simply brown the meat, onions, etc. in the the same pot! No extra messy fry pans to clean! 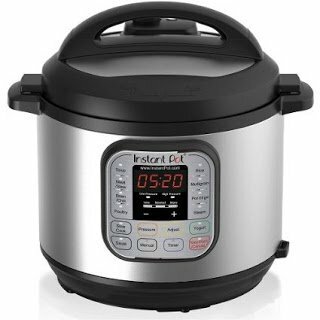 Our 6-quart Instant Pot does so much; pressure cooks, soups/stews, roasts, makes yogurt, cooks rice, etc. 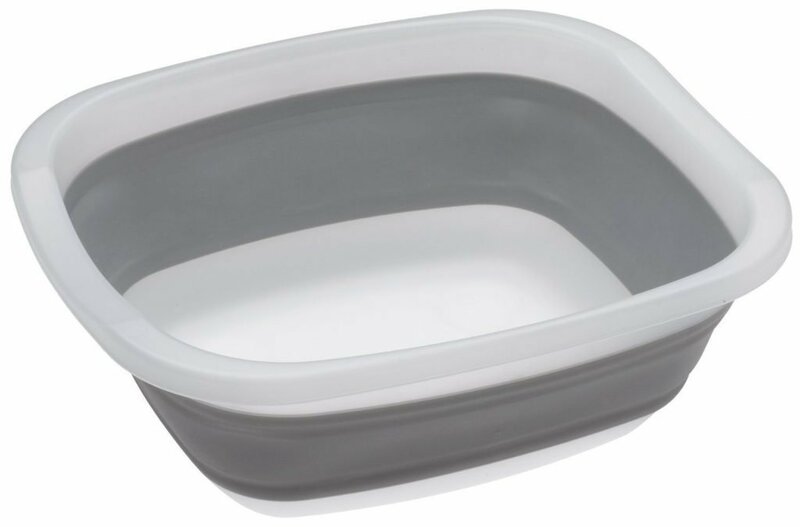 We also purchased a glass lid to use instead of the pressure cooking lid for our slow cooking soups, stews and roasts in which we want a little less moisture pressure buildup. 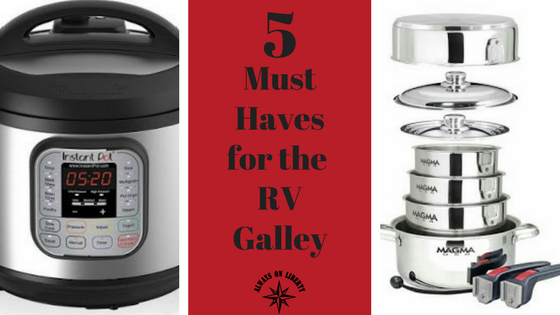 Those are our Top 5 Must Haves in the RV Galley. 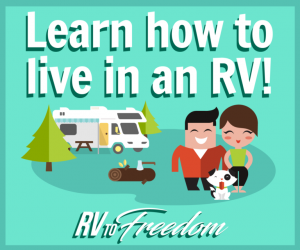 We’ve learned to cook differently but we still eat healthy and still about 90% of our meals are cooked ‘in RV’ (we guess we can’t say ‘in house’?). You just have to be selective and space and weight conscious. We’ve also learned is if a recipe or meal calls for an array of other kitchen gadgets or appliances that we don’t have in our galley, it’s just not getting cooked OR we make friends with our RV neighbors by seeing if they have one; makes for good conversation and we make them a deal; lend us your mixer and we’ll bring some goodies back when we return it. 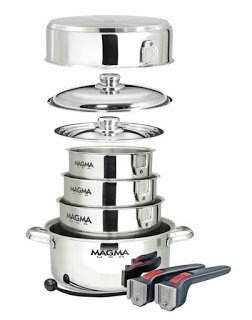 Magma Nesting Stainless Cookware – Product Review – COMING SOON! 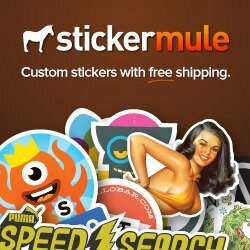 Great ideas, thanks for the photos and details. We have all of those, except the herb and spice storage you designed. That's an excellent idea. We just don't have any wall space that would work for that. 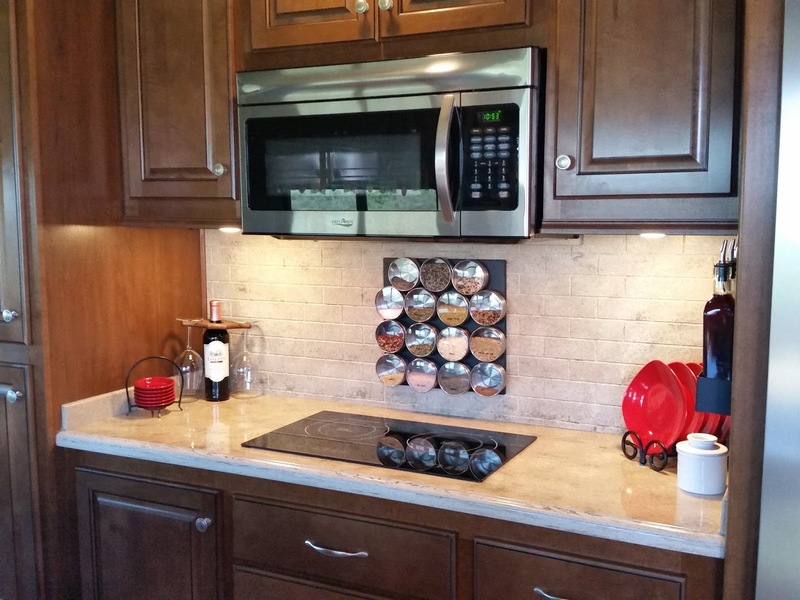 Our spices/herbs take up our entire half-height, narrow slide out pantry next to the refrigerator. We've been full-timers since 2005.